Music is always a good bet for evening entertainment. 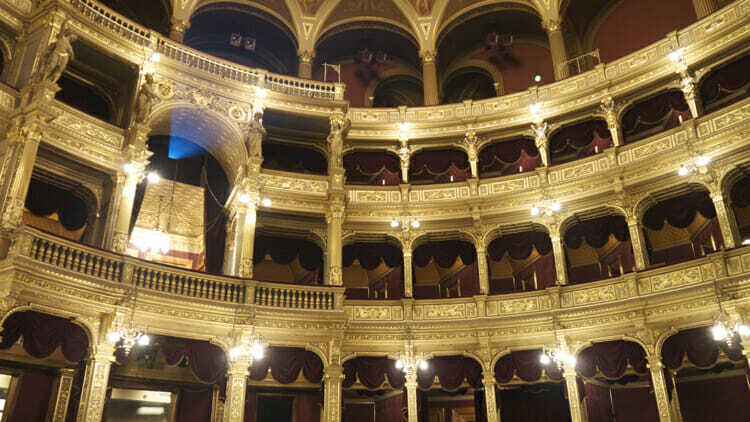 This is the Hungarian State Opera House. What can a person do at night when traveling alone? That’s the question I received from ST reader Frances. The subject line of the email was “Tips for non-drinking solo travelers”. In her email she was particularly interested in what to do at night when traveling alone. During the day, being alone is not unusual. But at night, it seems that everyone, travelers and locals, is going out with friends and having a good time. Fortunately, solo travelers do not have to be left out of night-time fun. There are many options and I’ve had many great evenings out alone. 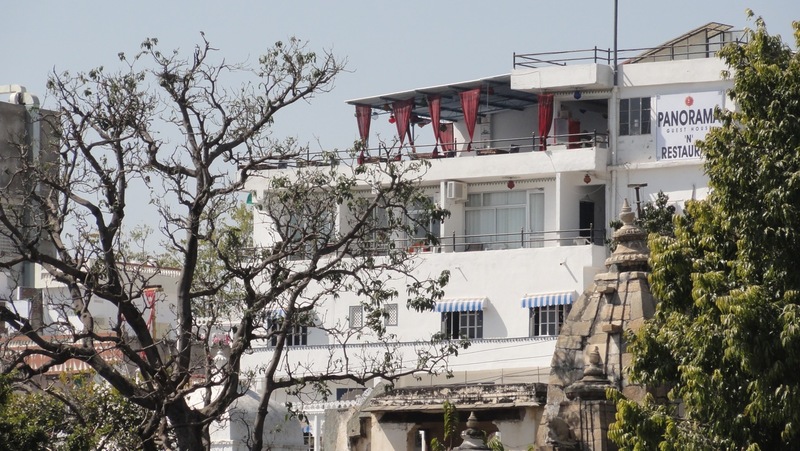 I stayed at the Hotel Panorama in Udaipur, India with its rooftop patio restaurant where I met many travelers. I often stay at hostels or small hotels. I look for accommodation that is social and this usually doesn’t mean large hotels. The social nature of B&Bs, hostels, and boutique hotels often present opportunities for entertaining evenings. In Paris, I stayed at St. Christopher’s Inn Canal. This hostel, like many others, makes sure that they have an entertaining evening a few times each week. Whether it’s music, trivia, or simply sitting in the hostel’s cafe/bar amongst other travelers, a hostel is a natural place for a great evening. In India, I rarely went out at night. It usually had dinner and then went back to my small hotel. But many hotels have rooftop restaurants that are quite good. These restaurants are often great opportunities for meeting people and enjoying each others’ travel tales. On my trip to Chile, I traveled to Patagonia via the Navimag ferry. I speak very little Spanish – just a few phrases really. On the ferry there were about 100 people from all over the world and we were together for three nights. I never knew what the evening would offer but conversation and fun always arose in several languages, including English. My point is that great evenings often materialize based on your accommodation. Choose a social environment and you likely won’t be bored. One of the things about traveling to a country where you don’t know the language is that you are likely to meet other travelers who share your language – especially if you speak English. And whether they are solo travelers or not, they may be people to share an evening meal with. As you do, please keep in mind our safety advice, including The Fundamentals for Safe Travel. In Kauai, I met people at the hostel. 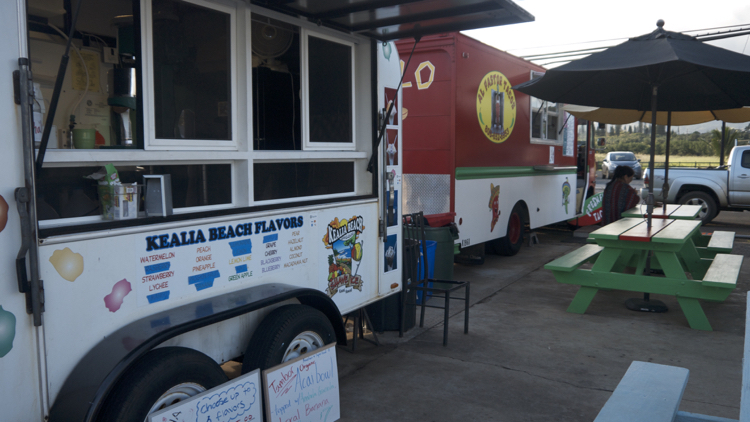 On a couple of occasions we walked down to the food trucks, which were about 500 meters away, then sat and ate our meals on the beach. In Takayama, Japan I met a couple at the ryokan where I was staying. We went out for dinner and spent half the night chatting. In Bologna, I met a couple at Cineteca di Bologna where English movies are sometimes shown. I was then invited to join them for dinner. It was lovely. Symphonies or operas are great. 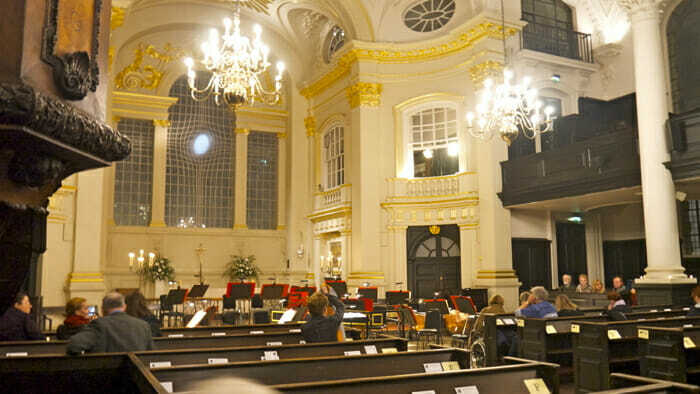 This is St. Martin’s in the Field in London. There are many options for solo travelers in the evening. Go to the opera or symphony. I have been to more “highbrow” events traveling than I have at home. For me, the music is secondary to the venue and the scene. Concert halls tend to be spectacular and the people in attendance are often a spectacle unto themselves. Plus, there is no need to know the language to enjoy the performance. Connect with a local. Voulez Vous Diner is the only site I’ve used but there are many where you can connect with locals to buy a dinner at their house or simply make friends for an evening. You can also join couchsurfing.org as the community side of couchsurfing is about about making visitors feel welcome. Go to museums when they are open late. In some cities on some days museums are open later, to 8:00 pm, for example. Watch for the hours and build your museum time into your evening. Try a Meetup. Check out meetup.com for public evening events on just about any theme you can imagine. You’ll meet people with similar interests who will likely also have interesting recommendations for your visit to their city. Find a communal dining opportunity. Look for restaurants with communal tables. They’re becoming quite popular. I wrote about them in Eating Alone Is Easy When You Know How. For a bit on the history of communal tables and communal table etiquette, read The Etiquette of Communal Tables. Though communal tables have become common, finding them can be a challenge. A search on Chowhound.com generally produces results. Go to a club. Jazz, blues, country, and folk are all music forms you can find in small, comfortable venues. Keep an eye out for a concert that could be right in your area. This happened to me a quite a few years back. I saw BB King in a small night club under the pier in Redondo Beach. Join a night tour. Many cities have evening tours. Whether it’s a cruise along a waterway or a walking tour of a ghostly area, there are many themed night tours around the world. Go for a walk. Some cities are great for walking at night. Of course, you have to be careful of where you walk but I enjoyed walking in both London and Paris, seeing the city lit up, enjoying the energy of the people out and about – it’s a great way to spend an evening. Go where the action is. Whether it’s a night street market or a local festival, check out what’s going on in terms of public events and watch the locals in action. Front desk staff at your hotel, hostel, or B&B can probably help you with this. Enjoy some quiet time. Travel can be tiring. Take some quiet time to chill, read a book, do yoga, or any other activity you find relaxing. Go to where the action is. 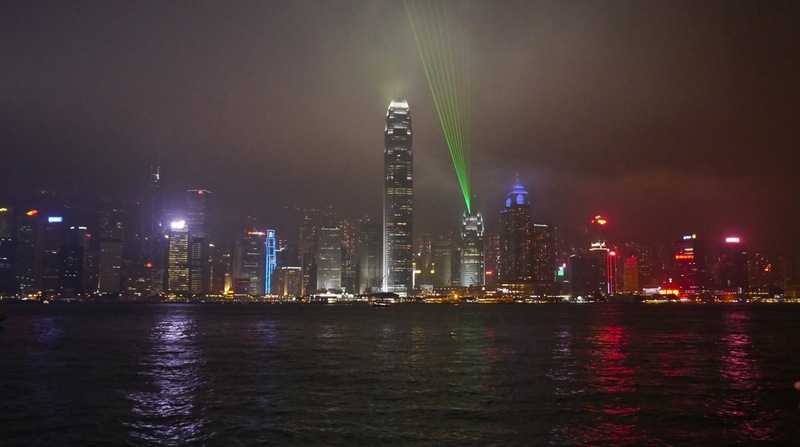 The Symphony of Lights is a daily light and sound show in Hong Kong. There are plenty of people around making it safe.